As the world watched the news unfold that Yahoo was beginning its search for a new CEO, Jerry Yang took the time to explain his side of the matter and his reasons for stepping down. And despite the tough external environment that we face, I truly believe we’ve made tangible progress in bringing our strategic vision to life. Most significantly, we’ve rewired our entire network to create a Yahoo! that has opened its doors to outside publishers and developers. We’ve launched an advertising platform that we think will transform how ads are bought and sold online. And we’ve continued to grow our audience — standing first or second in more than 20 product categories and demonstrating that Yahoo! is the place users turn for major events like the Olympics and the Elections. And now I believe the time is right for us to bring in a new leader — someone who will build on the important pillars we’ve put in place and who will take the reins on the critical decisions our company faces. As for me, I’ll be returning to my role as Chief Yahoo and board member once my successor is named. I’ll go back to focusing on our global strategy, product excellence, technology innovation, and working with the Board and our executive team to help Yahoo! realize its full potential. It’s been an extraordinary year here at Yahoo! — for all of us. I’m really proud of the determination and resilience of Yahoos around the world who are so committed to giving you the best Internet experience possible. It is for them, and for you, that I will always bleed purple. So there it is, words from the founder of Yahoo himself. 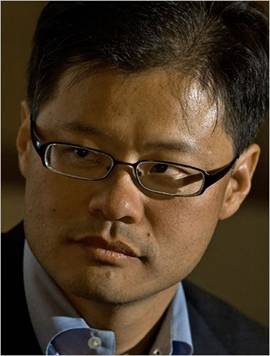 Many may probably get the notion that Jerry Yang has been stubborn and tenacious in keeping Yahoo independent and it may be completely true. However, remember that Yang is a founder of the company, he knows it better than anybody else does so if he wanted to keep his company independent, I guess it was his right. Now that Jerry has stepped down, it may be for the best and hopefully, Yahoo will take a CEO from the outside to give the company a fresh start.